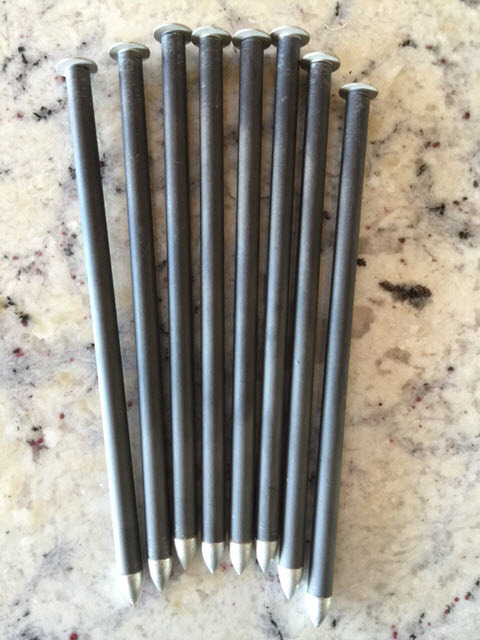 These tent stakes are made with a Carbon Fiber shaft with a metal tip and metal end cap. The individual weight is 6grams - I pack 8 into a cuben fiber stake sack for all up weight of 52grams. The thick diameter allows them to grip the ground better than the thin titanium. These stakes are excellent in loose soil, and they have also proven to be very functional in typical dirt. Because of the thick diameter they can be harder to drive into compacted ground. Never hammer these in. Hold your foot in both hands for stability and press the stakes into the ground at an angle. If you can't press them into the ground all the way, anchor them with rocks. 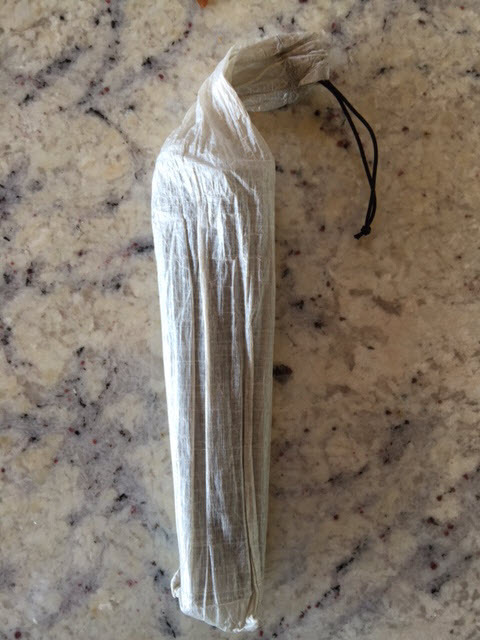 Joe at Zpacks also reports these stakes are 'Airplane Safe'. Never thought of this benefit. 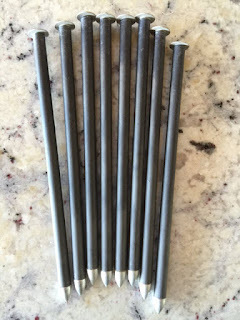 Joe says they have carried these stakes through US airport security a dozen times with no issues as they are not particularly pointy.